I used the same flame style for Roxor which I already established with Rock Gut. One of the main foci of the mini was, once again, the base. I used the whole base to sculpt a small lava pool, rimmed by rocks, from which he erupts. Having finished all Bosses and Minibosses of the SDE base set, I’m continuing my quest to finish all Bosses and Minibosses in the Caverns of Roxor. First up is Rock Gut the Troll. 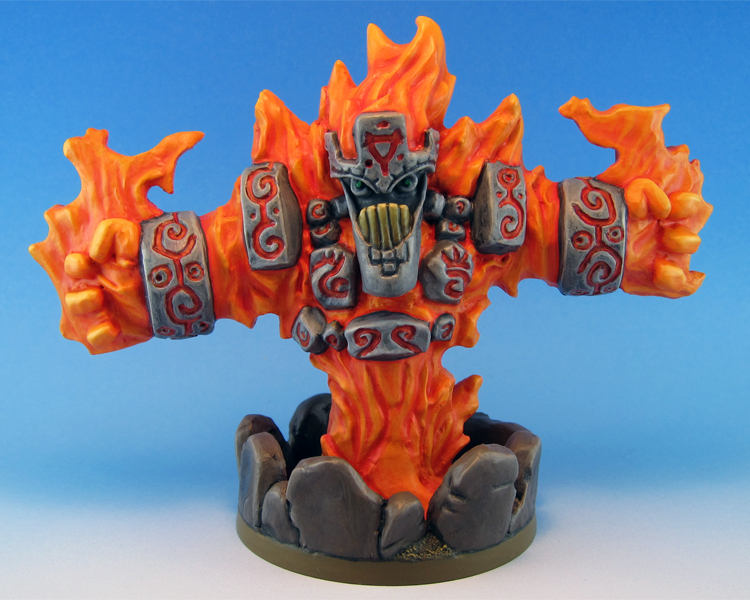 He was my first SDE mini which featured flames. 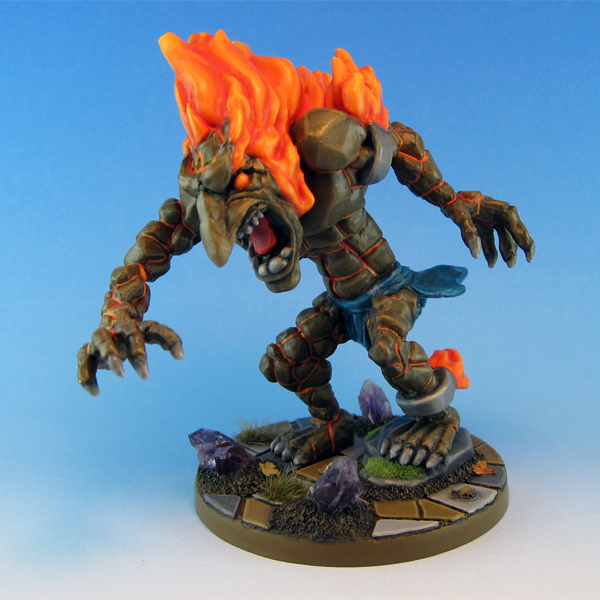 As there are a lot more of them in the Caverns of Roxor set, I wanted to get the flames right and use them as a template for future ones. After multiple trys and repaints I settled on more comic-like and less realistic flames. I’m rather happy with the result and think they fit very well with my SDE painting style. Tried something new with his base. I bought some rough gemstone shards and added three amethysts to the base. They look rather nice in the right light, but do look rather dull when not directly lit by a light source. Not sure yet, if I’ll use those again.